Have You Made the Jump to VoIP yet? The more efficient, secure, and cost-effective your communication platform is, the easier it is to run a high-functioning business. 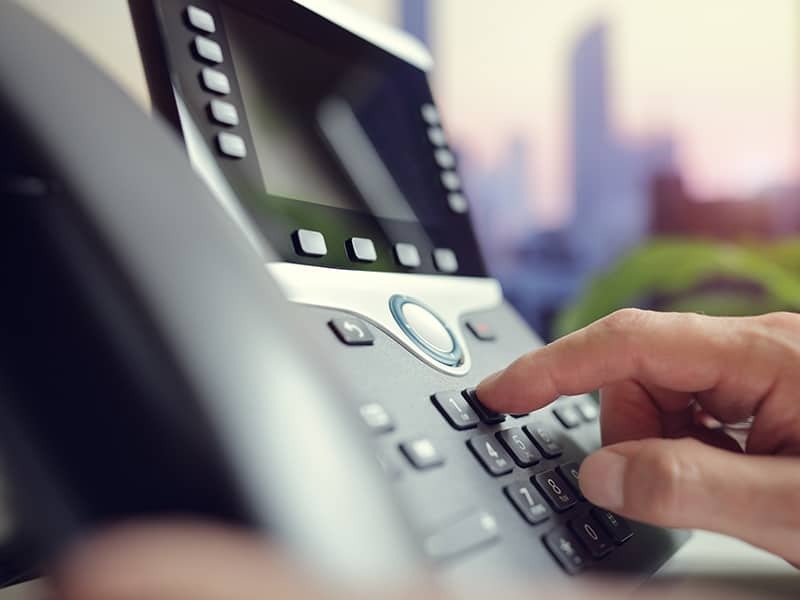 Voice over Internet Protocol (VoIP) telephone systems are a great choice in a technology-driven world—they answer each of your primary communication needs, without leaving you hanging on pressing issues that affect you on a daily basis. In this blog, we’ve listed some of the most relevant benefits of switching to VoIP solutions for small businesses. As part of the name suggests, hosted VoIP solutions utilize Internet Protocol to make calls. Instead of using telephone lines, all communication data is turned into packets and sent over the IP network. The IP network your business uses could be your Internet connection, a direct IP connection to your telephone service provider or a combination of both. The important part of the IP connection is that there is guaranteed quality of service (QoS) from your telephone service provider’s network to your office network. Placing calls over traditional phone lines means that a line is taken up by the two callers using it to communicate. There’s a finite amount of lines that can be installed, especially if they’re long-distance. Costs can start to mount up. When you use the internet to make calls, you’ll be able to decrease how much you’re spending on both domestic and long-distance calls. In fact, businesses that use VoIP are often given the ability to make domestic and domestic long distance calls for free. VoIP services follow you wherever you go. With a traditional phone system, a specific line (at a home or business) is assigned its own phone number, and any movement that takes place involves a lot of movement. Transferring services can take a lot of time, and result in miscommunications that only serve to set you back further. With a VoIP phone system, all of this is eliminated. You’ll have the freedom to move as your business demands without any added stress. Using VoIP phone systems allows you to multi-task with the most tech-savvy devices, allowing you to be as productive as possible. You can easily forward messages and voicemails, maintaining an efficient communication system. Not only that, but VoIP services also include simple video conferencing. Of course, these sorts of conferences are usually special cases, but face-to-face interaction with colleagues and clients, while business personnel are out of the office, is much more manageable with VoIP phone systems. Since all calls use a converged data network instead of dedicated phone lines, creating and participating in conference calls are made much easier. If your business uses traditional conference calling but what you will find is that you will have to pay for an additional service to host multiple callers for a conference. These services are native to many VoIP phone systems. Instead of paying for something extra, you can take advantage of the ability to make conference calls as an added benefit to the service you already pay for. Businesses need to be able to interact with each other, no matter where their offices are located. With business VoIP solutions, there’s no reason to lose the ability to conduct important calls or to fail to forward essential documents. With VoIP, business associates can e-fax their documents instead of waiting a day (or several) to get to a fax machine. What are the Differences Between Public, Private, and Hybrid Cloud Services?